You know you’ve made it when you’ve got your own, labeled spot in the team locker room. 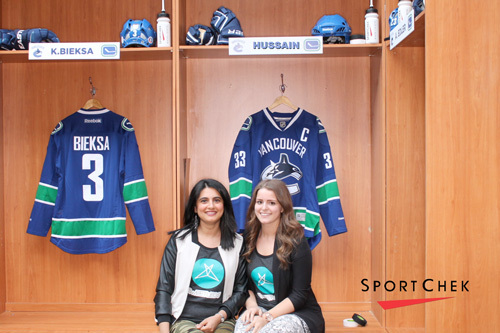 To celebrate the NHL playoffs in Vancouver and the Raptors playoffs in Toronto, we partnered with SportChek to give the playoffs the ceremony they deserve. 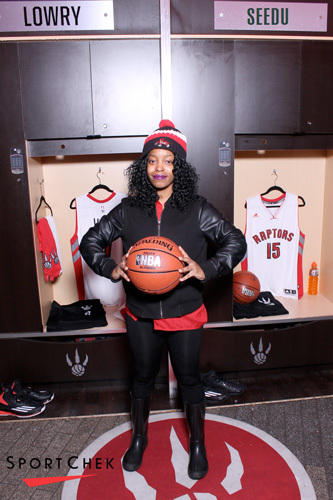 A locker room set was created with customized name tags for players to pose in front of, making them part of the behind the scenes action. Fan names were customized via our iPad registration system. Guests went home with a SportChek-branded printed photo souvenir and an e-mail of themselves looking ready to score that winning goal.